The A-T Society is celebrating our 30th-anniversary in 2019. 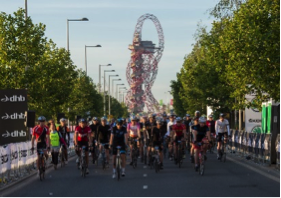 To help make it a year to remember cyclists in our Ride London-Surrey100 A-Team can register for £30 with no minimum sponsorship required! We ask that you raise as much as you can and will reward everyone raising £300 plus with a free A-T Society technical cycling jersey. 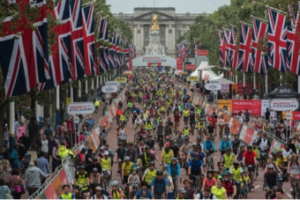 Celebrating the legacy for cycling created by the London 2012 Olympic and Paralympic Games, Prudential RideLondon-Surrey 100 starts in Queen Elizabeth Olympic Park, then follows a 100-mile route on closed roads through the capital and into Surrey’s stunning countryside. 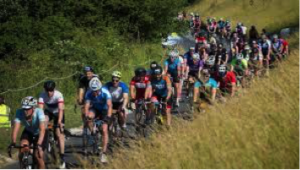 With leg-testing climbs and a route made famous by the world’s best cyclists, it’s a truly memorable event for all involved. 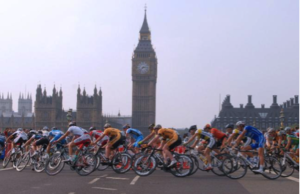 The route offers a perfect traffic-free ride for a range of cycling abilities. Make 2019 a year to remember by joining our A-Team and help children and young people live well with A-T.
£300 could give a family going through tough times a special day out day together followed by an overnight stay in a hotel. Once you have registered we will send you a fundraising pack and support you all the way.